Welcome to web pages "VINLAND1.com". My Approach to The Vinland Sagas. The Vinland Sagas excited many of their readers. Likewise, seeming or real disharmony of their records puzzled them. When I read The Vinland Sagas for the first time several years ago, I was impressed by them but did not understand their message. When I read The Vinland Sagas for the second time in December 2013, I was impressed by them again, but this time I was determined to make greater effort to understand their message. I approached the Sagas as records capturing testimonies of Vinland voyages and explorations that were handed down for generations before they were written. When I encountered the bull episode recorded in the Sagas, I realized that it can be harmonized and explained. Likewise I came to the conclusion that all of the recorded Vinland voyages can be harmonized and explained. I read passages of the Sagas over and over, made notes of the information, and harmonized them. I was not writing book then. I simply wanted to understand where the Norsemen sailed, where they settled, and what places they visited. With The Vinland Sagas, Webster's Dictionary, maps, and my basic harmony of the Vinland voyages, on December 12, 2013, I identified a place for Leif's base in Vinland. 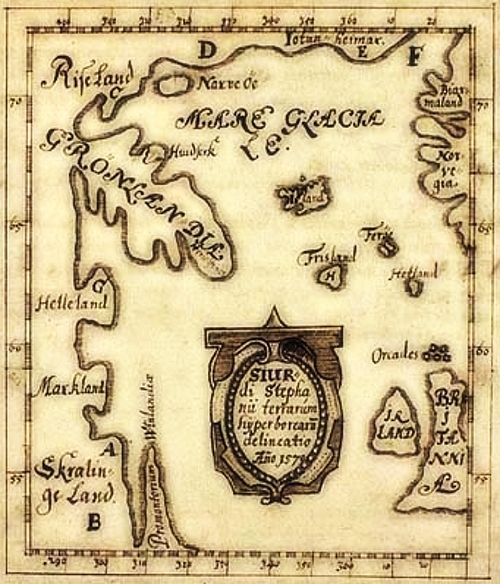 The location seems to be in internal harmony with information in The Vinland Sagas as well as in external harmony with maps and information that I was able to find on the internet. Based on my notes, I wrote this book, which should be understood as a possible interpretation and explanation of The Vinland Sagas. I enjoyed writing this book, and I hope that you will enjoy reading it.